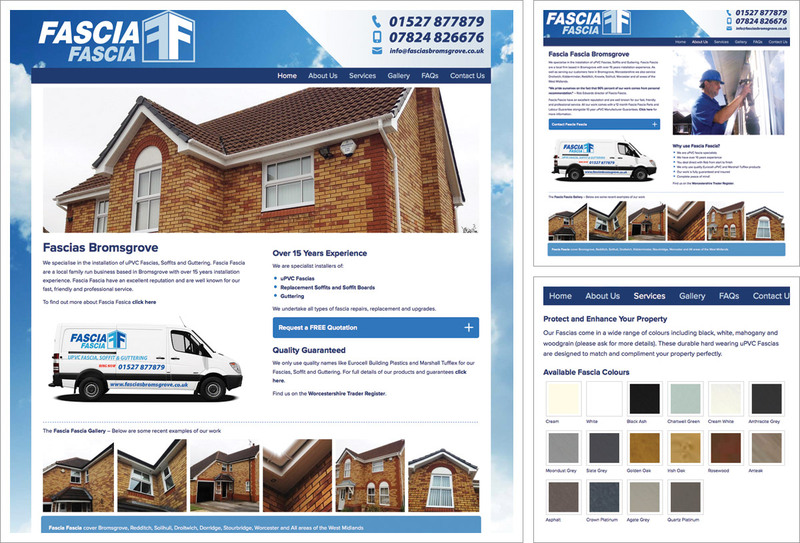 Fascia Fascia are Bromsgrove based Fascia, Soffits and Guttering specialists. Their new website has been enhanced with new content, fascia colours, frequently asked questions about installations and repairs and also a new gallery showcasing examples of their work. The website is responsive design/mobile friendly, which means it’s accessible and easy to navigate on desktops, tablets and phones.